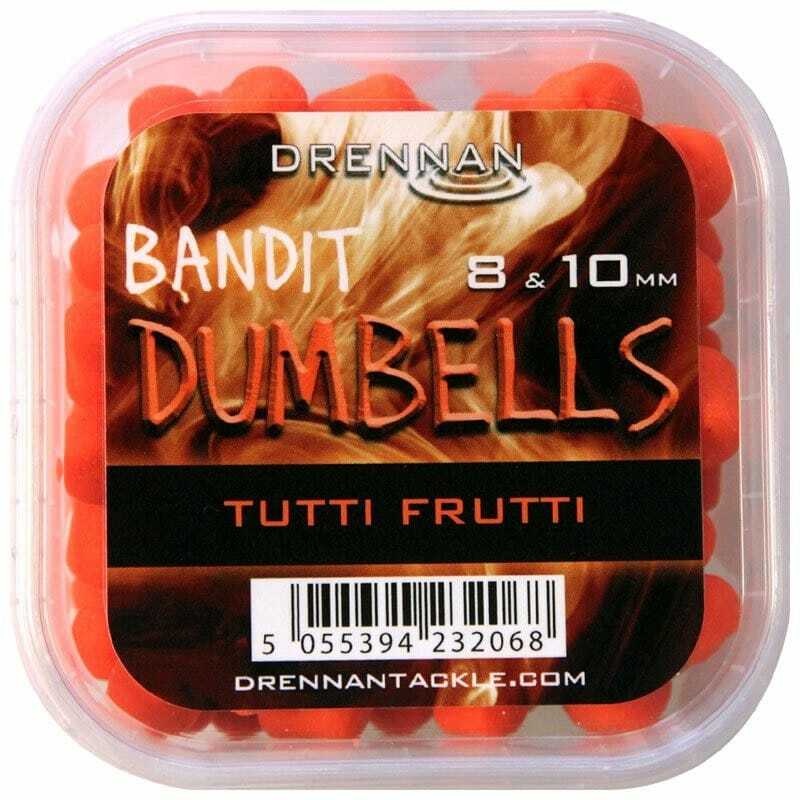 Drennan Bandit Dumbells have been cre­ated with the same win­ning colour and fla­vour com­bin­a­tions as our latest Method Boilies: white Scopex Syrup, pink Crab & Krill, yellow Pineapple Punch and orange Tutti Frutti. 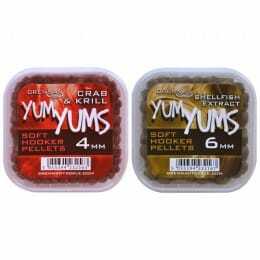 Again, you get a useful mix­ture of both 8mm and 10mm hook baits to try in each tub. 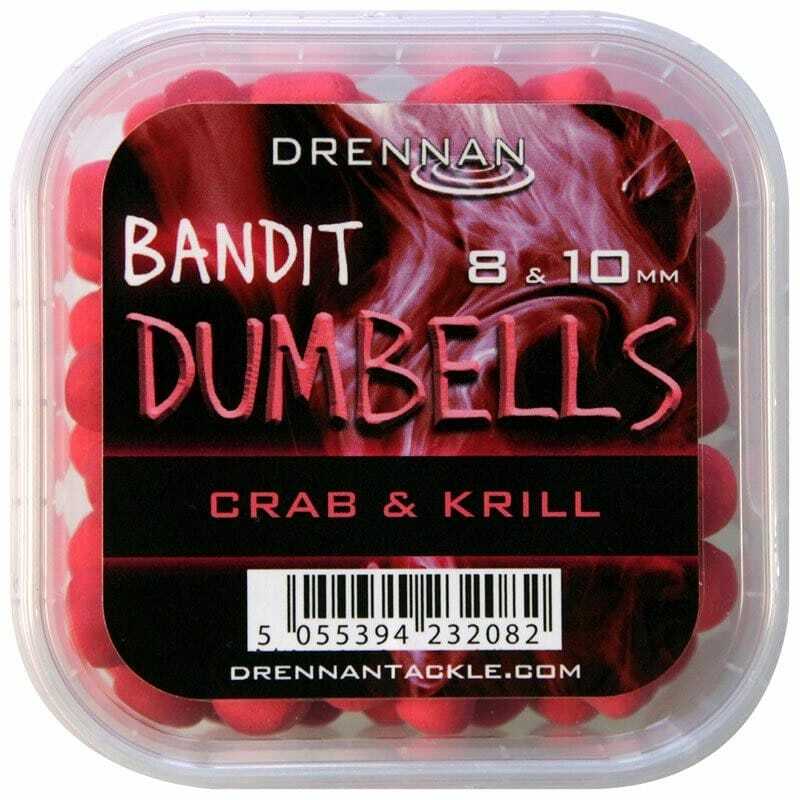 All four vari­eties are also avail­able in a smaller 6mm size, called Bandit F1 Dumbells. 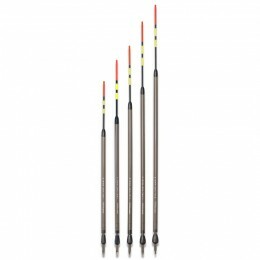 These are per­fect for smaller carp, F1s, tench and bream. 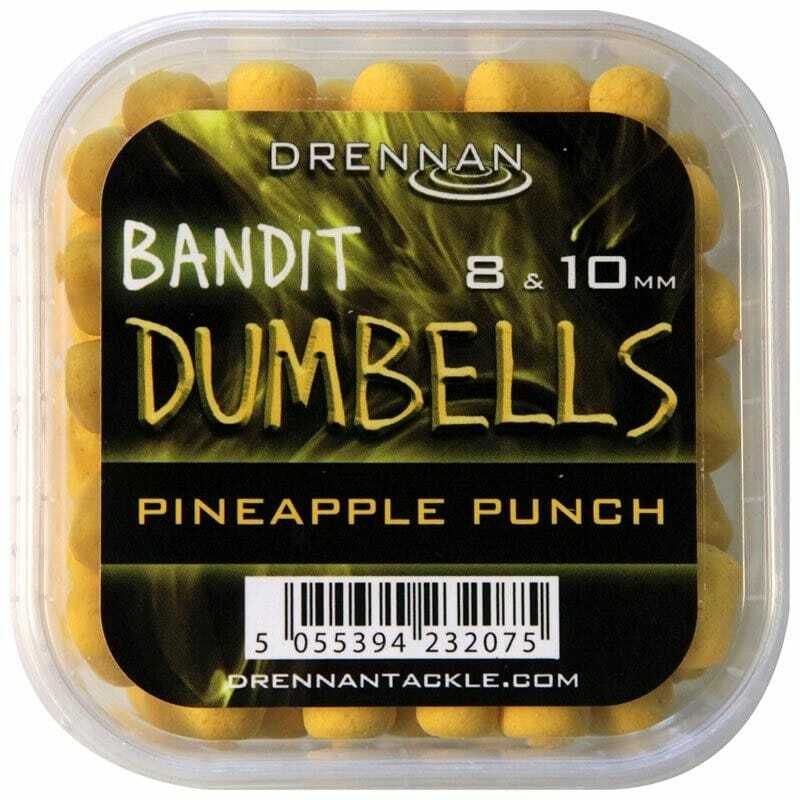 All three sizes of Bandit Dumbell can be effect­ively fished on the pole, wag­gler or feeder. 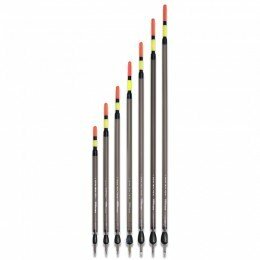 They are frac­tion­ally harder than Method Boilies to with­stand the banding process. 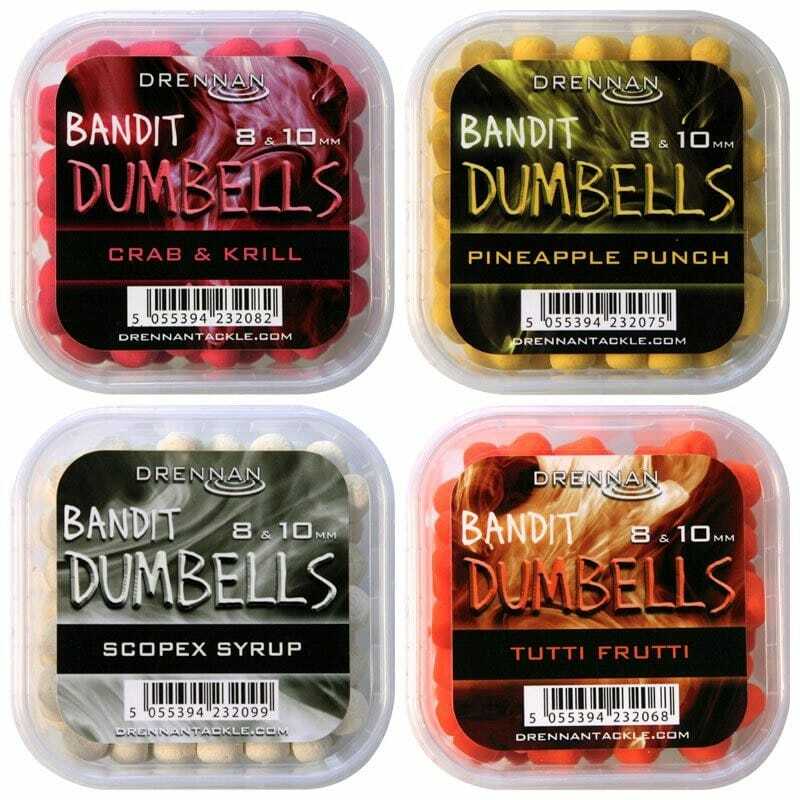 The best way to present them is with a hair-rigged latex band, such as those you get with our various Bandits hooks to nylon. 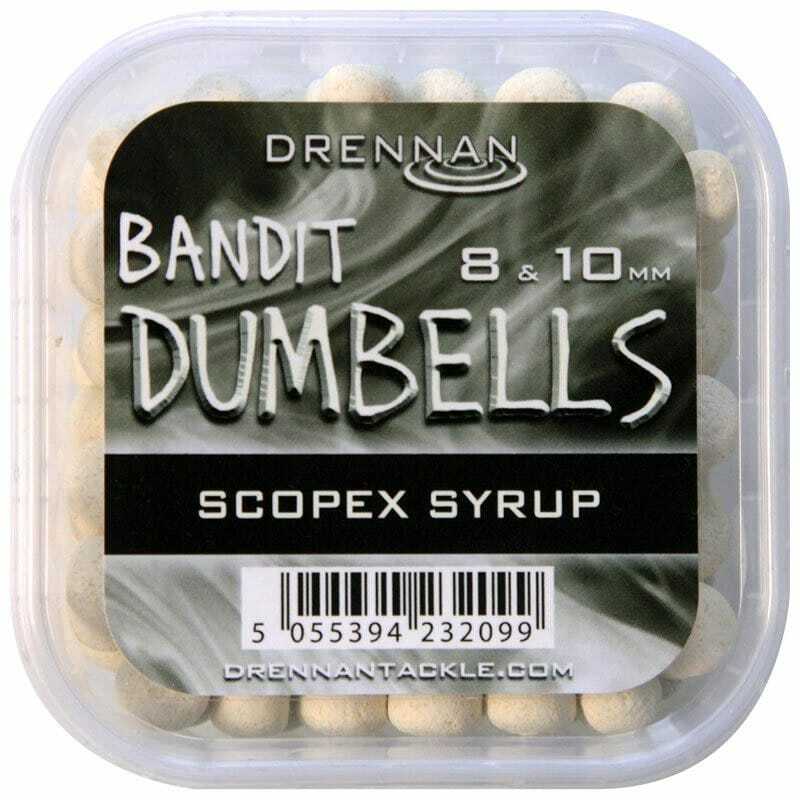 The slightly thinner waist of these dumbells helps them to hold inside the band really securely. 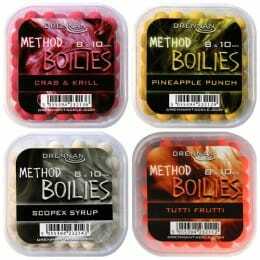 In fact, it is often pos­sible to catch more than one fish on the same hook bait.